To All Our Loyal Customers, Thank You! It is humbling and exciting to know that because of our loyal customers, Revival has been able to help with 260,000 pounds of food valued at $2 million over the past 11 years to help people in need. Because of your continued purchases, Revival has been able to send desperately needed food to help those in need after disasters like the recent Oklahoma tornadoes, Hurricanes Sandy and Katrina. Thank you all for making our relief efforts possible. Look what we can do together! In the aftermath of Hurricane Sandy, thousands of children in the Northeast have been in need of healthy, nutritious food. Because of the loyalty of our customers, Revival was able to donate 17,250 bags of soy chips (each with 7g of protein) and 43,250 patented soy protein shakes (each with 20g of protein) to Feed The Children for the relief efforts after the devastation of Hurricane Sandy. In addition to the Sandy Relief efforts, Revival also donated 24,850 patented protein shakes to help feed children in the Appalachians. Revival's efforts to help our neighbors wouldn't be possible without our caring and loyal customers. The very creation of Revival involved helping someone - my mom. She and I decided that we always wanted Revival to help others live a life they love. 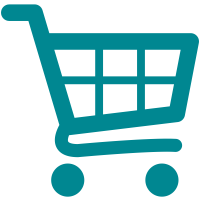 Physicians Laboratories is active in several important areas of our local, national and global community. Your purchase helps us help others! 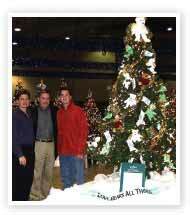 When Brenner Children's Hospital and Health Services held the Festival of Trees and the Jingle Bell Jaunt to raise funds for the hospital, Revival took part in decorating trees for the Festival’s Christmas Tree Forest that were sold for $500 each to help fund the program. Revival is a proud sponsor of the Annual Johns Hopkins Breast Cancer Survivor Retreat. As part of the world-renowned Johns Hopkins Hospital, the Breast Center stands at the forefront of research and treatment. Each year, the Center holds a retreat for recent breast cancer survivors that offers fellowship, education and fun through various classes on nutrition, stress management and setting new life goals. This annual retreat helps survivors re-engage life. Revival is honored to support recent breast cancer survivors, knowing they will offer hope to breast cancer patients. Lillie Shockney, RN, a nationally-recognized breast cancer survivor, founded MSDBC with her mother. The organization provides free support services for mothers with daughters battling breast cancer. Dr. Pamela Peeke helps to enrich the lives of breast cancer survivors with a hike up Castle Peak in Aspen. Revival sponsored the second annual nationwide Walk From Obesity in 2004. 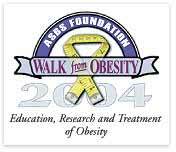 This annual walk, sponsored by the American Society for Bariatric Surgery (ASBS), is a fund-raising event designed to reduce disability, death and discrimination of people who are obese. The walk will take place in 42 cities, including Nashville, San Francisco, Miami and Denver. All proceeds will go to support the ASBS Foundation, whose purpose is to increase awareness of bariatric surgery and its role in treating the disease of morbid obesity. Physicians Laboratories provided $150,000 for the complete and total funding of the statewide implementation of the North Carolina Child Alert Notification system. "We are extremely gratified to play a role in this process, and it is our hope that a statewide Amber Alert program will effectively protect the children of North Carolina," says Aaron Tabor, M.D., Founder of Revival. "We hope that we never need this system, but it is an effective means of mobilizing the entire state to help find missing children. We challenge other businesses to do the same for their state." We received an email from a soldier stationed in Iraq who had received a care package from home. Included in the care package were some Revival bars. And, while he loved the bars, there was just one problem: He needed more - not just for himself but for the other soldiers in his unit. We thought this would be a great chance to show appreciation for our troops by sending some care packages of our own. 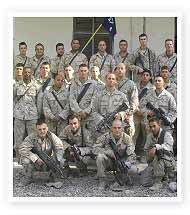 So, every other month, the Revival team sends 180 Revival bars, chips and soy nuts, as well as some necessities and personal letters, to Bravo Company 216 Infantry. Revival is proud to support and honor these and other troops. Operation Blessing is an international organization with efforts to relieve human suffering via combating hunger, deprivation and physical affliction with the provision of food, clothing, shelter, medical care and other basic necessities of life. Operation Blessing also helps facilitate the development of healthy, vibrant and self-sustaining communities by addressing larger issues of education, food security, potable water, employment, community health and disaster mitigation projects. 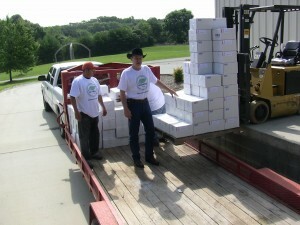 Revival is happy to donate 4,000 soy bars to Operation Blessing to help in their cause. Many physicians associated with Revival participate in medical mission trips to countries around the world. Many of these countries lack any form of basic healthcare, and often, lack running water and electricity.